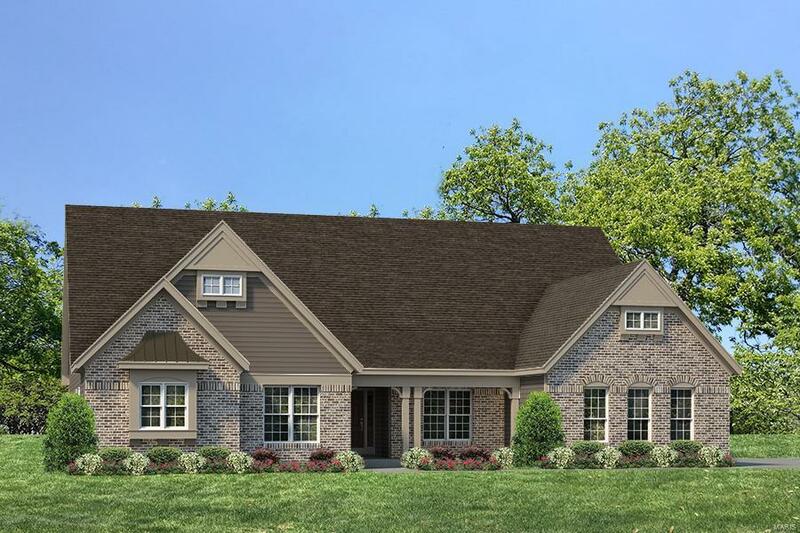 Introducing the Woods at Cottleville Trail, an intimate enclave of 14 exclusive, 1 AC home-sites that back to mature trees & beautiful wooded areas. This one of a kind neighborhood offers Executive homes with exquisite features, dynamic Kitchens, spectacular Owners retreats and professional assistance from The Home Center Design consultants. Choose from ranch, 1.5 story and 2 story designs from the prestigious Estate Collection ranging from 2,220 - 3,840 sq ft. The Nantucket is a 3 BD, 2.5 BA, 3,292 sq ft ranch with a Hearth Room, a large Great Room, formal Dining Room and a luxurious Master Suite. This highly desirable neighborhood has easy access to Hwy 364 and is conveniently located near the restaurants, shops, recreation & services in Cottleville and OFallon. Students will attend sought after Fort Zumwalt schools. Enjoy running, walking & biking on the Great Rivers Greenway that runs along the entrance of this impressive community.